Welcome to Dime Box, Texas, a strange name for a small town in Central Texas. Hit the road, Jack (or Jacksboro in Jack County), and take a tour of these Texas towns with distinctive names. But another Kermit has influenced the town -- the Muppet named Kermit the Frog. There's a street in town named Kermit The Frog Boulevard. 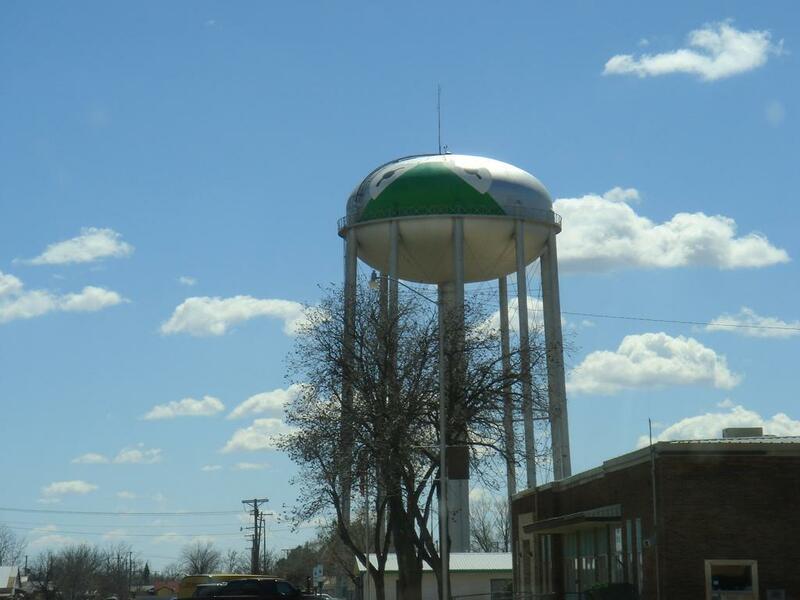 Kermit, Texas, is home to a water tower covered with a green frog. Also, there's Kermit the Frog Boulevard. 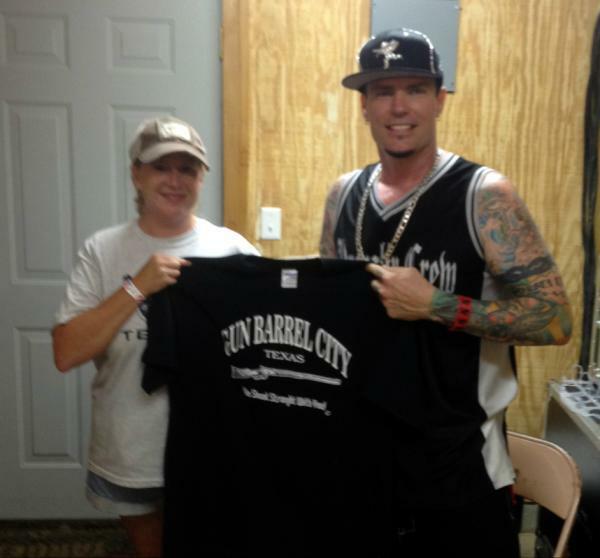 Vanilla Ice shows his love for Gun Barrel City. Gun Barrel City is about 50 miles southeast of Dallas in Henderson County. The town’s motto is "We shoot straight with you.” Its symbol? A rifle. The name originated from Gun Barrel Lane, a straight road that connected nearby Mabank and Payne Springs, according to the city’s website. Gun Barrel Lane eventually became State Highway 198. 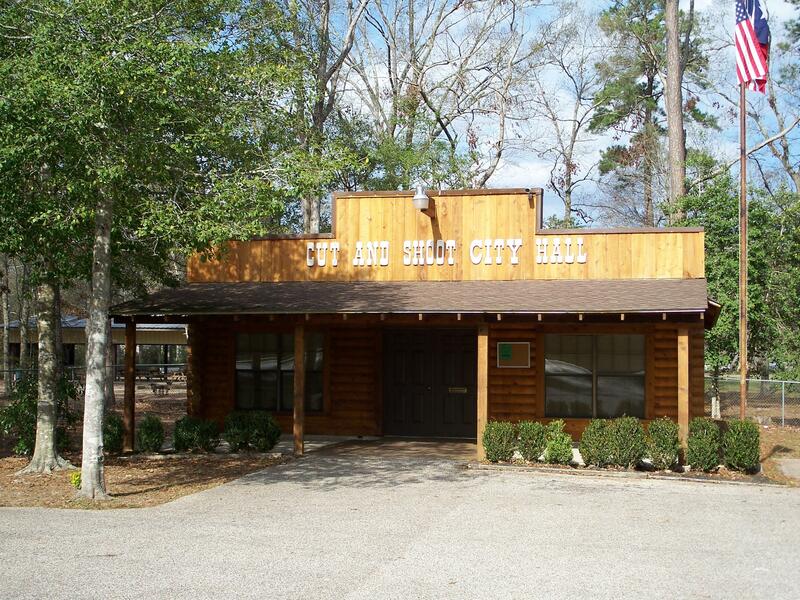 Gun Barrel City explains on its website: “With a name like Gun Barrel City, you might think that the community has been around since the early days of Texas independence. Not true! Forty plus years ago, a close-knit group of friends (affectionately known as the 'Dirty Dozen') began the process of making their unincorporated community a 'real' town. Soon after their vision, and 200 signatures later, an election was held to decide the fate of the group’s dream.” Vanilla Ice is a fan of the town, wearing a Gun Barrel City shirt on his cable TV show. He’s headlining the Gun Barrel City July Fest. The Montgomery County town was named after a fight in 1912. A preacher was invited to hold a meeting at the town’s Community House, according to the city’s website. But some said he visited saloons and went dancing. Folks were enraged, splitting the town into two sides – those who supported the preacher and those who didn’t. On the day of the meeting, opponents, armed with guns, locked the doors. The commotion scared a kid. "I'm scared! I'm going to cut around the corner and shoot through the bushes in a minute!" No one was hurt that day, tensions calmed, the preacher spoke outside the Community House -- and the 'Cut and Shoot' name stuck. A nasty fight inspired the unusual name of Cut and Shoot, Texas. It’s DISH, not Dish, and the town is formerly known as Clark. In 2005, the Denton County town renamed itself after the DISH Network. In exchange, the city’s residents got a decade of free satellite television from – you guessed it – the DISH Network. Last year, The New York Times explored the town’s feelings about its name. Telephone, a small town in northeastern Fannin County, got its name after playing a little name game. In the 1880s, postal officials had repeatedly refused the town’s applications for a post office because the names submitted were already being used by other Texas post offices, according to the Texas State Historical Association. The man who submitted the names, local general store owner Pete Hindman, submitted “Telephone.” That worked -- the name was accepted, and Texas added Telephone to the map. White Settlement, a Fort Worth suburb, dates back to the 1840s when white men arrived, selling goods to Native Americans. 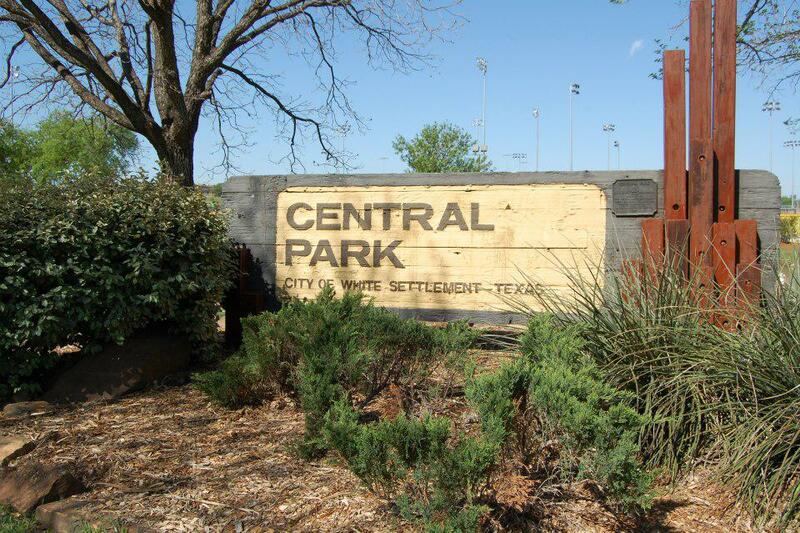 The area began to be known as the “white settlement.” In 2005, city leaders tried to encourage residents to change the name, saying a new moniker could boost the city’s image and attract new businesses. But residents weren’t interested, defeating the measure by a 9-to-1 margin. 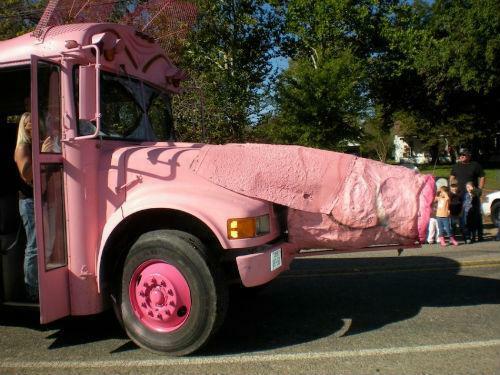 "It's all a bunch of poppycock," one man told The New York Times. White Settlement's name dates back to the 1840s. Jot ‘Em Down, a small town in Delta County, has been called Mohegan, Muddig Prairie and Bagley. In the 1930s, a store was built and the Jot ‘Em Down Gin Corp. was formed, named after a store featured in Lum and Abner’s radio comedy program, the Texas State Historical Association says. Ben Wheeler is in Van Zandt County, 12 miles east of Canton. The town is named after its first mailman from the 1870s. Benjamin Wheeler delivered the mail on muleback, carrying mail from Tyler to Buffalo. KERA explored the town in this story. The Texas State Historical Association says the community was called Clough, for prominent settler George Washington Clough. In 1876, a post office was established at his home, and Clough was the first postmaster. The community was named for Ben Wheeler in 1878. Today, Ben Wheeler is an arts mecca that embraces hogs: The town has been designated the Feral Hog Capital of Texas. It throws the annual Fall Feral Hog Festival. Ben Wheeler in East Texas is an arts mecca and hosts an annual festival that celebrates hogs. Ding Dong is in Bell County in Central Texas. In the early 1930s, Zulis Bell and Bert Bell bought and ran a country store starting in the 1930s. A creative painter made a sign featuring two bells – with “Ding Dong” in the middle, according to the Southwest Bell County Volunteer Fire Department. The name stuck. Loco in Childress County didn’t get its name because it thought it was crazy. And it wasn’t named to honor the locomotive. Instead, it got its name because of the locoweed that grew in the town, according to Texas Escapes. 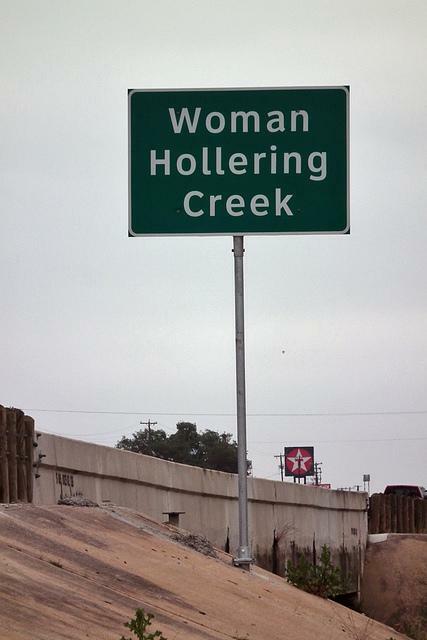 Woman Hollering Creek isn’t a town, but the creek between San Antonio and Seguin has a distinctive name. The origins of this creek's name remain a mystery. As the title of a 1991 collection by Sandra Cisneros, the name has aroused worldwide curiosity, but no definitive origin tale. … There are several versions of this story, but most involve a ghostly woman heard weeping at night for her lost children, drowned or otherwise killed and thrown into a river. … The creek's name is still an open question, says David P. Green, M.D., author of Place Names of San Antonio: Plus Bexar and Surrounding Counties. Green, who monitors a Web site based on the book, says he is often asked about Woman Hollering. Unfortunately, he says, "I have never run across anything at all that (definitively) explains its origins." Weeping Mary is an unincorporated town in rural east Texas. It was established as a "freedom colony" with land given to former slaves after the Civil War. Photographer O. Rufus Lovett started photographing Weeping Mary residents in 1994. There are a few stories as to how the town got its name, but one tends to stick. The man in question persuaded a black man to purchase the land for him instead. "So Mary was tricked out of selling her land to another African-American," Lovett told NPR. "She became very distraught over this and wept and wept." Dime Box is in Lee County in central Texas. This story originally published on May 9, 2015, and has been updated. This is no joke: Fort Worth is the least funny big city in the country. Yes, scholars have researched the topic and have even produced a book showcasing their work: The Humor Code: A Global Search for What Makes Things Funny by Peter McGraw and Joel Warner. They surveyed the 50 biggest cities in the country. They say they discovered that humor has a “local flavor” – what’s funny in Dallas might not be as hilarious in Chicago. Fort Worth isn't too funny for words. Cowtown ranked dead last on a list that ranks the funniness of the 50 cities. Arlington, you’re a bit funnier, but not by much. Arlington placed No. 46 on the list.